cactus jus commertial. funny!!. Wallpaper and background images in the Avatar The Last Airbender club tagged: avatar the last airbender. It'll quench ya! Of your thirst AND your sanity! lol that part was funny. 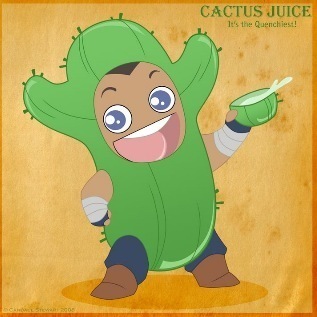 and after he got off the cactus juice, he goes tasting the goo in the cave! !